Did you know that attic ventilation plays a huge role in you roof’s overall performance? Attic ventilation helps create a healthy dose of airflow in your attic, which can provide long term benefits for different types of roofing. During summers, the heat can get trapped in your attic, and this can cause a number of problems for you in your home. One major concern you should be aware of is that your roof deck and shingles can easily be damaged as the heat builds up in your attic. You can also expect your cooling bills to soar as the heat can also radiate to your living space, causing your A/C’s and refrigerators to work harder than usual. During winters, a poorly ventilated attic can cause various roofing problems including ice dams and swelling and buckling of the roof deck and shingles. Furthermore, the combination of moisture and warm air inside your attic can cause havoc on your roofing system’s structural integrity as the warm and moist air condenses on the surface of the rafters, nails, and deck, causing rots and rusts on your roof. Tedrick’s Roofing, the leading roofing contractor in Kent and the surrounding areas, can help you in making sure that your attic is well ventilated at all times. Thanks to our patent-pending Solar RVOBLASTER™ roof ventilation fan, you don’t have to worry about any of the roofing problems mentioned above as it can significantly help improve the flow of air inside your attic. This high-quality product will help reduce the buildup of heat and moisture in your attic, helping in your roof’s performance and endurance. 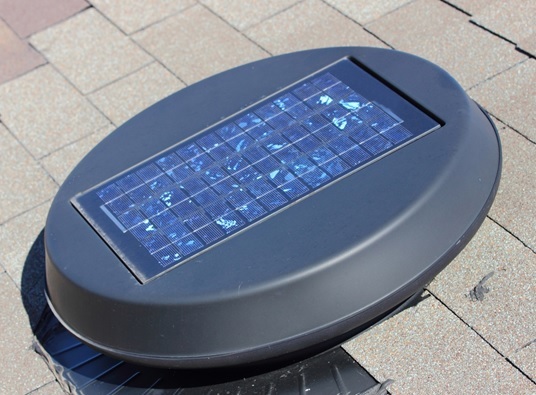 The best thing about the Solar RVOBLASTER™ roof ventilation fan is it is solar powered, which means that you’ll be able to enhance your attic’s ventilation system without having to worry about having to pay extra electrical costs. So if you want your roof to last longer and if you want to reduce your heating and cooling bills, you can invest in a Solar RVOBLASTER™ roof ventilation fan. Call Tedrick’s Roofing, experts in Seattle, Tacoma, Auburn, and Kent roofing, to learn more about this amazing solar fan.